L. Axsius L.f. Naso was moneyer for the year 71 BC. He is not otherwise known. Gens Axia, also spelled Axsia, was a plebeian family at Rome during the final century of the Republic. The gens does not appear to have been particularly large or important, although at least some of the family were reasonably wealthy. 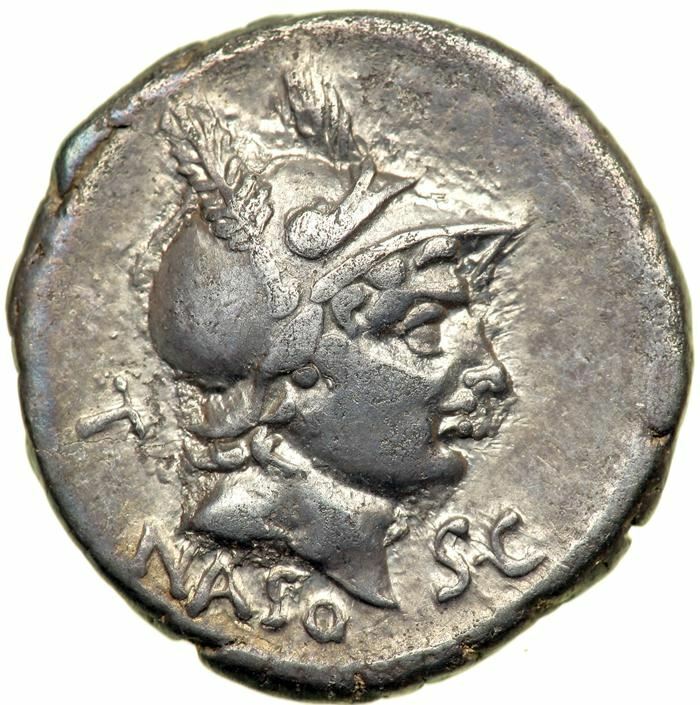 None of the Axii mentioned by ancient writers bear any cognomen, but the surname Naso appears on this moneyer. This cognomen is generally thought to refer to a person with a particularly large or prominent nose.